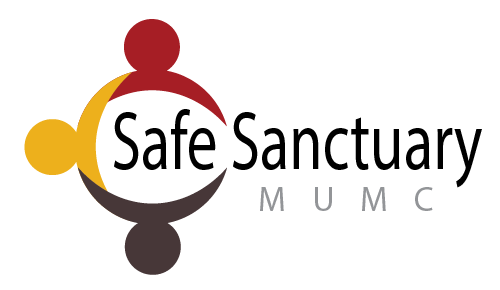 We follow a practice called “Safe Sanctuary” to help ensure the safety of minors and vulnerable adults as well as our staff and volunteers. It is our practice that volunteers provide relevant personal information, undergo a criminal background screening and pass child safety training before they can serve with minors or vulnerable adults. Once you have successfully completed the above four steps, you’ll be contacted by a ministry leader to discuss the ministry you have chosen and serving opportunities. After you are Safe Sanctuary Certified and ready to begin serving, you will receive a Safe Sanctuary Name Badge. Please wear this badge whenever you are serving with minors or vulnerable adults. Safe Sanctuary certifications are typically renewed every three years. If your certification expires, you will not be able to serve with minors or vulnerable adults until it is renewed. You will be notified when it is time to renew your Safe Sanctuary certification (if you are actively serving) and you will be asked to complete Steps 1 through 4 above. If you have any questions or concerns about the Safe Sanctuary practices of Manchester UMC, please contact our Safe Sanctuary Administrator Sally Cleveland or Pastor Jim Peich. If you witness abuse or neglect taking place, call 9-1-1 immediately. Any person with the responsibility for the care of children is a mandated reporter. Missouri law states that if such caregiver has reasonable cause to suspect that a child has been or may be subjected to abuse or neglect, or observes a child being subjected to conditions or circumstances that would result in abuse or neglect, that person shall immediately report or cause a report to be made to the Division of Family and Social Services (DSS). The 24 hour toll-free hotline number is 1-800-392-3738. For more information, definitions and guidance on whether to make a report, please visit the Division of Social Services website. Any allegations of abuse or neglect occurring during a church-sponsored activity, event or program, must be reported immediately to the staff member or ministry leader responsible for the activity, event or program. Staff members and ministry leaders will immediately notify Pastor Jim Peich of any allegations of abuse or neglect.